We always keep talking about balanced diets and wholesome meals. Along with our diets, we include supplements to provide our bodies with more nutrients. The Internet is flooded with information about fad diets and supplements. This clouds our vision to such an extent that we are unable to see the goodness that is served by nature right in front of our eyes. Red grape seeds are one such goodness, nature has provided us with. OPCs. OPCs are oligomeric proanthocyanidin complexes that help extinguish free radicals from the body. These antioxidant properties have their own perks. If you are battling with premature age signs, red grape seeds extract can help you to a great extent. Resveratrol: OPCs are correspondent to resveratrol. Resveratrol is a compound, a phenol, which is found in grape skin. Researches have shown that resveratrol is beneficial for those suffering from cardiovascular and skin diseases. Some researches even suggest that this compound has cancer-fighting properties. Procyanidin Dimers: Procyanidin Dimers are found in high concentration in grape seed extract. These compounds are aromatase inhibitor. This means that they inhibit the action of aromatase. Aromatase is an enzyme which manipulates hormones and changes androgen to estrogen. Aromatase activity is found in patients with breast cancer. Therefore, inhibiting the activity of this enzyme can help fight cancer. Apart from these, the OPCs have anti-allergic, antiviral, antibacterial and Vasodilatory properties. Along with OPCs, grape seeds also have power packed nutrients such as Vitamin E, linoleic acid, and flavonoids. Flavonoids reduce bad cholesterol and decrease the risk of cardiovascular diseases. So is it worth including red grape seeds in your diet? Grapes seeds are sure magical when it comes to health benefits, but do you really need them? If you are looking for answers to these questions, read along. Metabolic Syndrome and High Blood Pressure: Red grape seeds are loaded with nutrients that protect the blood vessels against damage and injury. Damaged blood vessels often lead to fluctuations in blood pressure. These fluctuations lead to an overall increase in the blood pressure, which further causes cardiovascular conditions. Red grape seeds enlarge the blood vessels and lower the overall BP, preventing metabolic syndrome. Diabetes and Metabolic Conditions: People with diabetes battle continuously with blood pressure, lipid and weight loss/gain issues. Kidney and neuropathy are other issues diabetics have to deal with all their lives. Thanks to red grape seeds, these conditions can be easily challenged. Grape seed extract can help people with diabetes and other metabolic disorders when inculcated with diet and exercise. Alzheimer’s: Hippocampus is an integral part of our brain, responsible for the storage and retrieval of memory. Degeneration of hippocampus can cause Alzheimer’s and other cognitive impairments. Grapes seeds are known to prevent and repair cognitive degeneration. Grape seed extract can be used as a therapeutic approach to counter Alzheimer’s and related disorders. Improved Functioning of the Heart: Resveratrol, the amazing compound found in grapes seeds, helps keep the heart in optimum condition. Resveratrol works with flavonoids and keeps bad cholesterol at bay. These two compounds work together to keep blood pressure in check, prevent blood clots and heart-related conditions. Healthy skin: As we have discussed above, the number of antioxidants present in grapes seeds is high. These are 20 times more potent than those found in Vitamin C. Antioxidants protect the skin from contamination that comes mainly from pollution. The antioxidants from grape seed extract protect the skin from harmful toxins. They also improve the elasticity by repairing the collagen. Varicose Veins: Grapes seeds are known to increase blood circulation. These wondrous seeds improve the quality of blood, veins, and arteries by dilating them. This can help people with conditions like leg swelling and varicose veins. The proanthocyanidins present in grape seed extracts are responsible for the improved blood circulation. Depression and Mental Health: Tofranil is an antidepressant, used to treat major depression and anxiety. It is a strong serotonin reuptake inhibitor. The proanthocyanidins have serotonin increasing properties. Serotonin is a neurochemical that prevents depression. Thus, proanthocyanidins have been found to be excellent anti-depressants and anxiolytics. When we talk about antioxidants, apart from grape seeds, another antioxidant source comes to the surface. The source that we are talking about is pine bark. This is yet another antioxidant rich ingredient, which is also loaded with oligomeric proanthocyanidin complexes. Pine bark is very useful for people with diabetes, erectile dysfunction, skin diseases, inflammation, hearing issues and immunity related disorders. I was recommended pine bark due to the fact I have had several strokes, but found out that red grape seeds have similar benefits. Comparison between pine bark and red grape seeds becomes inevitable, especially when they share so many properties. Both of these nature’s gifts are great antioxidants and rich in OPCs. However, there are subtle differences among them. Pine bark contains a component, which is known as Pycnogenol. Pycnogenol is a patented product, which makes it highly expensive. Furthermore, the structure of oligomeric proanthocyanidin complexes is different in both of them. It has been proven that the OPCs found in Red Grape Seeds are far better than those found in Pine Bark. Pine Bark is more of a commercial product. On the other hand, red grape seeds are naturally occurring and can be consumed naturally. 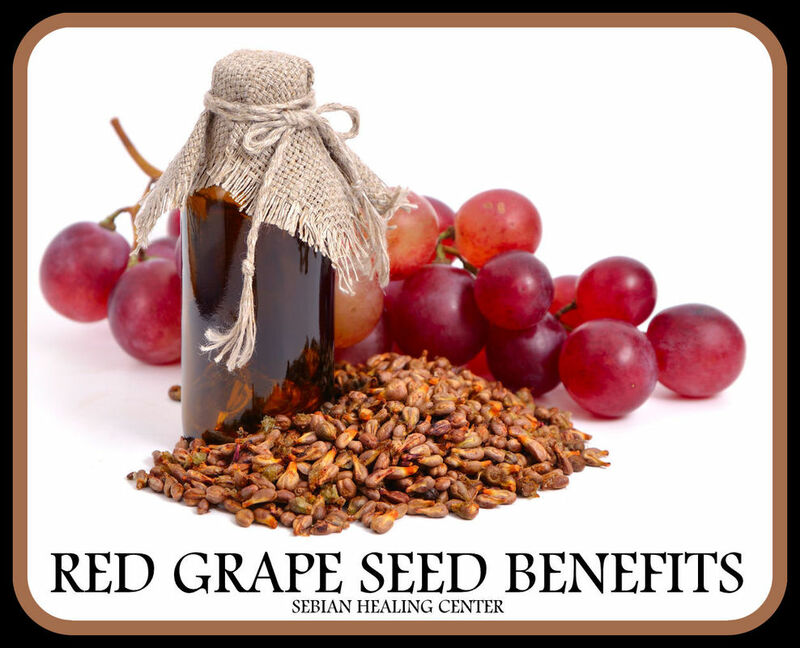 If you are looking for nutrient packed food or battling with certain health conditions, red grape seeds might be the answer to your questions. All you have to do is munch on a handful of these seeds or take them in extract form. The antioxidant properties are potent enough to rejuvenate your system and help you keep your health at an optimum level.